Debra Hamel studied classics as an undergraduate at The Johns Hopkins University and again as a graduate student at Yale, where she specialized in ancient history. Since receiving her Ph.D. in 1996 she has published a number of scholarly articles and reviews as well as publications for a general audience, including several articles that have appeared in MHQ: The Quarterly Journal of Military History. Debra is the mother of two preternaturally attractive girls. She writes and blogs from her subterranean lair in North Haven, Connecticut. 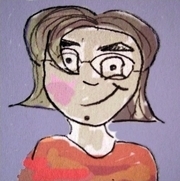 Debra Hamel is a LibraryThing Author, an author who lists their personal library on LibraryThing. Debra Hamel is currently considered a "single author." If one or more works are by a distinct, homonymous authors, go ahead and split the author. Debra Hamel is composed of 1 name.